The pathway through life is often challenging, with detours to be taken and physical and emotional obstacles to be overcome. Along that journey traces and marks are left behind - some transitory, some permanent - reminders of the courage and determination shown in overcoming those obstacles and realising their goal. Linen, cotton and silk fabrics have been dyed or coloured with coffee and silk paint. Monoprinted fabric has also been incorporated, along with hand surface embroidery to indicate the marks and traces left behind. 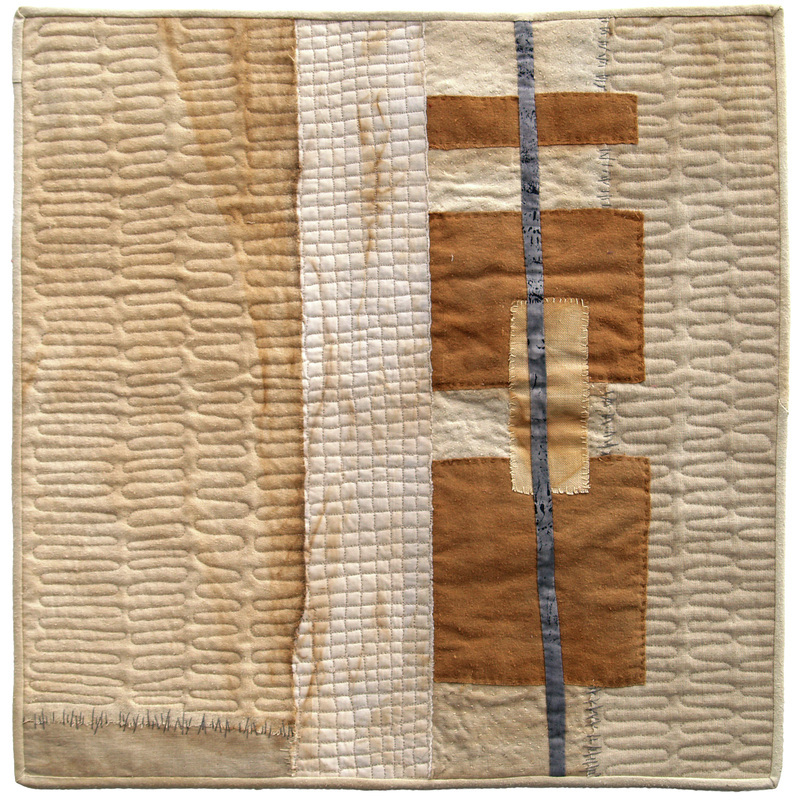 machine quilted lines suggest the often circuitous nature of life's journey.